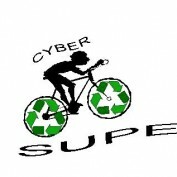 Joined 9 years ago from MALVERN, PENNSYLVANIA, U.S.A.
My name is Joe and cybersupe is the pen name of a coal miner's son from Southwestern Pennsylvania, U.S.A.. I am University Educated with a special interest in U.S. History. University of Pennsylvania and the University of Waynesburg. Employment after college consisted of a sales representative for Dow Pharmaceuticals, a division of Dow Chemical Company and as a Registered Investment Advisor (RIA), registered with the United States Securities and Exchange Commission. Now living in Historic Chester County, Pennsylvania. Chester County is a suburb of Historic Philadelphia, Pennsylvania. Considering my background, it is only natural I share with you my knowledge of U.S. History as well as the U.S. Coal Industry. Having retired from the rigors of the business world, I began writing here on HubPages, February of 2010. I do hope you find my articles of varied subjects, interesting and informative. Your comments are always welcome and most appreciated. FOLLOWING ARE A FEW INTERESTING HUBS.